Good morning. It's Wednesday, March 27. • California defies federal rollbacks on the environment. • A billionaire owner breathes new life into the L.A. Times. • And a tour of the lush oases of the Coachella Valley. The Trump administration wants to raise Shasta Dam despite fierce objections from the state. California is defying the Trump administration's environmental rollbacks. State officials are moving to expand protections of waterways slated to lose federal protection. 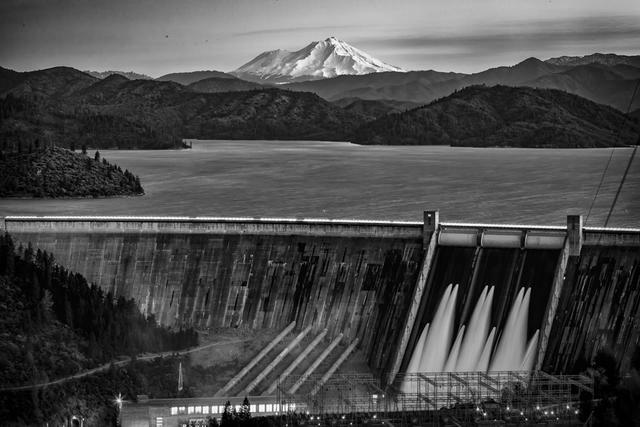 They're also refusing to issue permits needed to heighten Shasta Dam. "California is building walls at its borders," the L.A. Times wrote, "they’re just not the kind President Trump has in mind." President Trump is planning a trip to the Los Angeles area next week for a fundraiser, in only the third California trip of his presidency. The April 5 event comes as Trump and his supporters celebrate the end of special counsel Robert Mueller’s investigation. Tickets start at $15,000. Pay $150,000 and you get a roundtable discussion. S.F. Chronicle | A.P. A broad tax overhaul by Congressional Republicans in 2017 loosened the estate tax, requiring far fewer families to pay it. Now California legislators are moving to ask voters to approve a new tax on the assets of wealthy residents that could generate as much as $1 billion a year for low-income families. "It's obscene that the federal estate tax exemption has escalated so dramatically," one lawmaker said. Freshly cooked Dungeness crab at Nick's Lighthouse Restaurant in San Francisco. 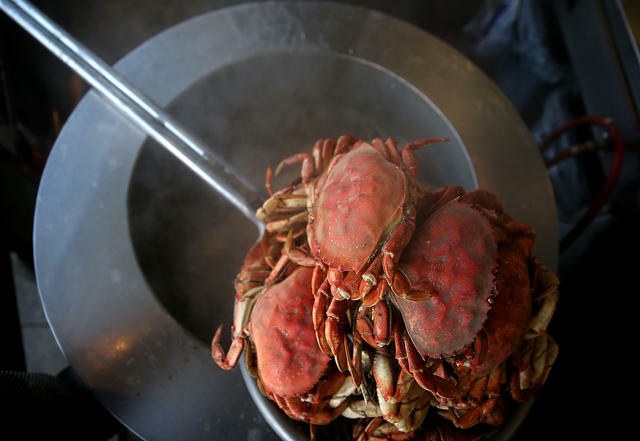 California Dungeness crab season will end three months early as the result of a legal settlement aimed at protecting marine life. An environmental group had sued California, saying it was liable for a surge in entanglement of endangered whales and sea turtles. Scientists say climate change has been pushing the mammals closer to shore — and fishing gear — in their search for food. 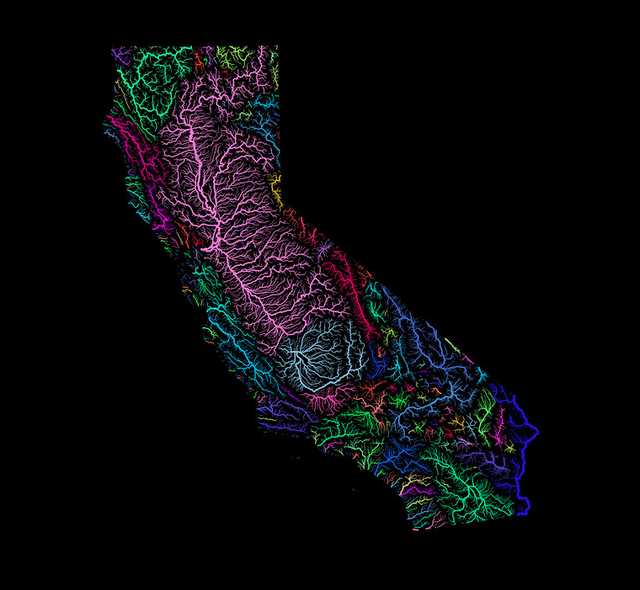 Here's a colorful way to visualize California. Robert Szucs, a Hungarian cartographer, creates maps that depict watersheds in kaleidoscopic squiggles that evoke a vascular system. His map of California makes it easier to grasp how the San Francisco Bay drains roughly 40 percent of the state's landmass. 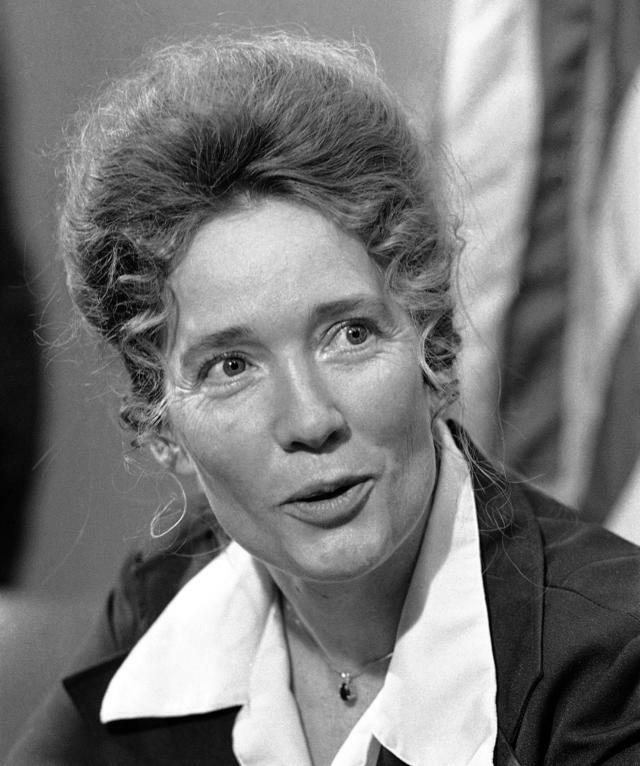 It was on this week in 1977 that Rose Bird was sworn in as the first woman on California's Supreme Court. Almost immediately, Bird was deemed the most controversial woman in California. As chief justice, she led a liberal majority on the court that strengthened environmental laws and consumer rights. But it was her opposition to the death penalty that led voters to oust her from the court in 1986, the first such removal in state history. Even after her exit, Bird felt trapped by the villification she faced. She became something of a recluse, dropping even old friends. In a 1996 newspaper column, she wrote: "Those who live a public life no longer are seen as real persons — human beings. Rather, they are objects to be examined, manipulated, ridiculed and sometimes even hated." Bird died of breast cancer at the age of 63 in 1999. Two decades later, some people recalled Bird when California's new governor, Gavin Newsom, declared a moratorium of capital punishment. Now, as then, people on opposing sides of the debate view it as an issue of profound moral significance. Here's a recent remembrance of Bird by her biographer at CALmatters, and her obituary from the L.A. Times archives. 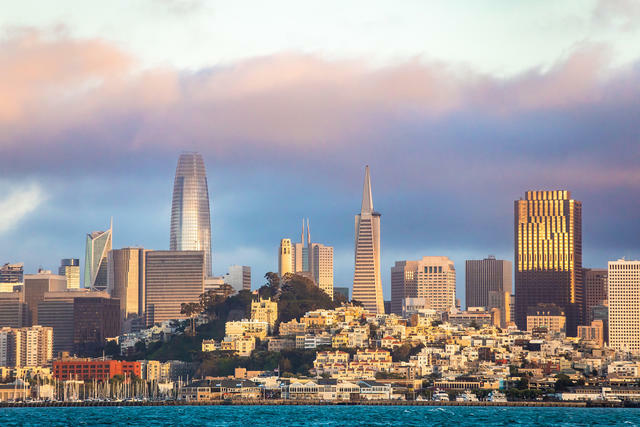 A new crop of millionaires is coming to San Francisco. Larry Baer was suspended without pay through July 1. 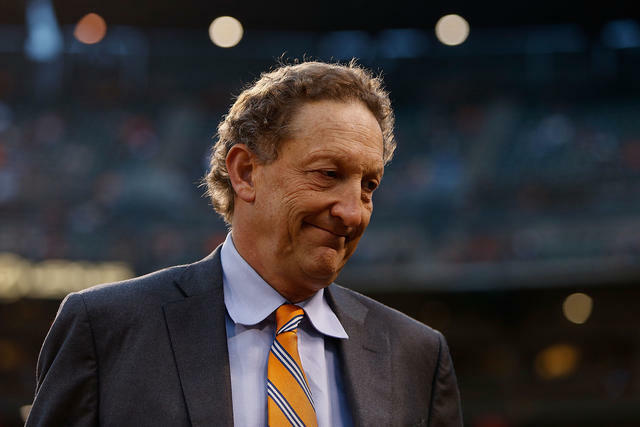 Larry Baer, C.E.O. of the Giants, has been suspended by Major League Baseball over a public altercation between him and his wife that was captured on video. During the argument, Baer lunged to grab a phone his wife was holding, causing her to fall and scream, “Oh, my God, no, help!” Baer expressed regret over his behavior. San Francisco has banned plastic straws, plastic bags, plastic water bottles, and fur, among other items. Now city leaders are going after electronic cigarettes. Yet marijuana and alcohol remain widely available — as do traditional cigarettes. That has critics asking why some vices are tolerated and others are not. "I think the criticism there's a double standard at work is true," an addiction expert said. A newly preserved forest rises next to Butano State Park, above, in San Mateo County. 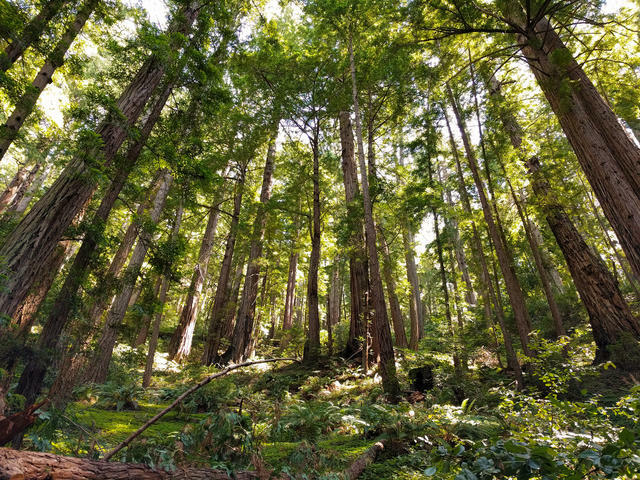 A Bay Area land trust joined with loggers in an unusual deal to preserve two redwood forests in the Santa Cruz Mountains covering nearly 1,000 acres. Timber companies and environmental groups have a history of conflict. But they increasingly share a common goal: They'd prefer that land remain as forest than be bought by developers. The Skunk Train, a heritage railroad in Mendocino County, has been one of the more delightful ways to experience California's pristine redwood backcountry. Now the route is offering another conveyance: rail bikes hoisted onto the tracks with seating for two. One reporter's verdict: "Even more fun." The former L.A. Times building in downtown Los Angeles. 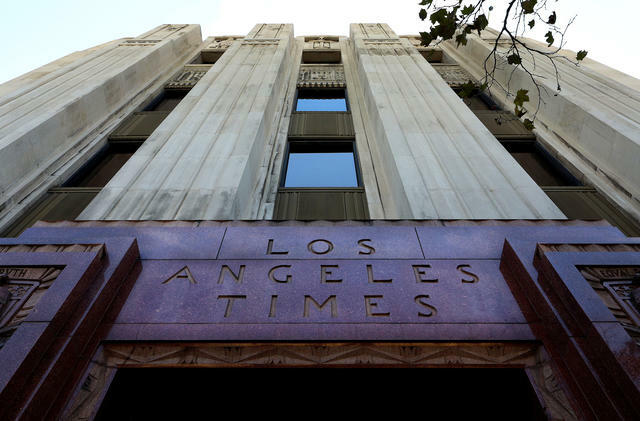 The Journal of Alta California did a deep dive on the changing fortunes of the L.A. Times. The new billionaire owner, Patrick Soon-Shiong, has poured hundreds of millions of dollars into the newspaper and begun to rebuild a newsroom that suffered scandals and deep cutbacks under previous owners. "It's truly amazing the paper continued to do the good work that it did, considering the bozos that were running it," columnist Robin Abcarian said. Now, she says, "I just feel like we're on the brink of a golden era." A California jury awarded $9.8 million to the family of a woman fatally shot seven times by police in Long Beach in 2017, saying the officers acted with "malice and oppression." The payout was described as the largest of its kind in the city's history. Two officers fired at Sinuon Pream, 37, after she refused to drop a knife. Pream's family said she suffered from mental illness. "She needed help, not bullets," a family lawyer said. An unwelcome helicopter touched down in the Antelope Valley California Poppy Reserve. A pair of visitors landed a helicopter in the Antelope Valley California Poppy Reserve then proceeded to enjoy a stroll through the wildflowers. 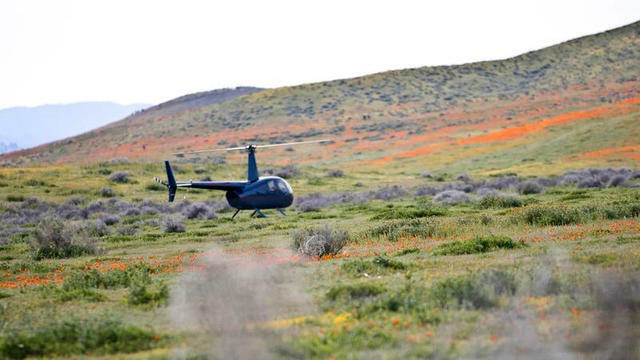 "We never thought it would be explicitly necessary to state that it is illegal to land a helicopter in the middle of the fields and begin hiking off trail in the Antelope Valley Poppy Reserve," officials said. "We were wrong." Here's a closeup of Dos Palmas Spring, whose bubbling aquifer feeds an unlikely grove of palm trees in the middle of the sun-bleached Coachella Valley. Here's a guide to some of the best California oases by RootsRated. 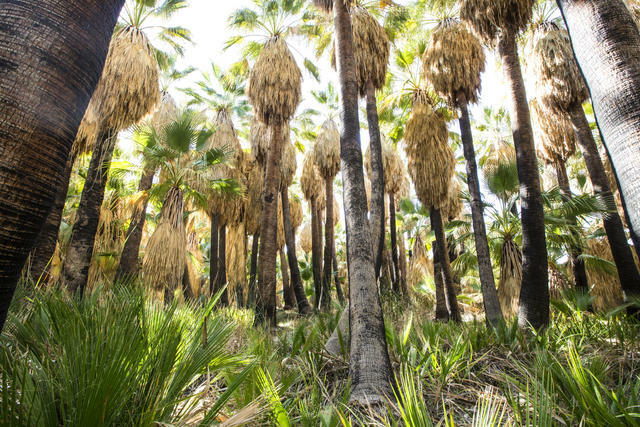 And at Desert magazine: the story of how Native Americans — who wove palm fronds into sandals, baskets, and roofs — likely brought the trees into the Coachella Valley.